Andrew Shaw | Abrahamse & Company Builders, Inc. Originally from Lynchburg, VA, Andrew comes to Abrahamse and Company Builders after serval years of working for a local home builder. 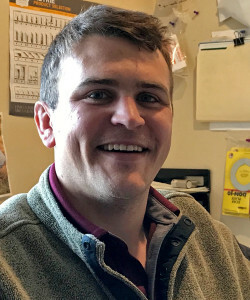 Andrew graduated from UVA in 2011 and received an Expeditions grant from National Geographic for a project that entailed the construction of a new batteau and retracing a survey lead by Chief Justice John Marshall in 1812. The crew poled their 43’ boat 230 miles upstream from Richmond to Covington on the James, then ran downstream on the Greenbrier and New Rivers in West Virginia. Andrew loved the process of building the boat, which is ultimately what lead him to pursue a career in construction. Andrew currently lives in Charlottesville with his wife and two young sons. He still likes to get out on the water and spend time outdoors.